What Is Inca Inchi Oil? My journey to discovering John Frieda full repair line was one wrought with frustration. I struggled with dry and out of control frizz. On the one hand, I know that all of this blow drying and flat ironing is a bad idea since it leaves my hair looking cute at that moment in time but only furthers the damage and split ends in the long run. On the other hand, if I choose to let my hair air-dry naturally, I end up leaving the house looking like I just stuck my finger into an electrical socket and got a serious shock. It’s a vicious cycle, having dry hair which is prone to frizzing up at the worst possible moment. This hair dilemma is a real problem and one that I’ve struggled with for years. The solution is to find a way to treat the cause of the problem, rather than just masking the symptoms. Like many great dry hair remedies, the root of the problem lies in the roots. Nourish your scalp, and your hair will grow out long and strong. Of course, while beautiful hair starts at the root, you still can’t neglect the rest of the hair shaft. 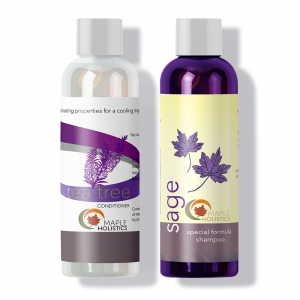 Combining an effective shampoo with a nourishing conditioner provides you with the best of both worlds. You’ll have healthy and hydrated hair from root to end. 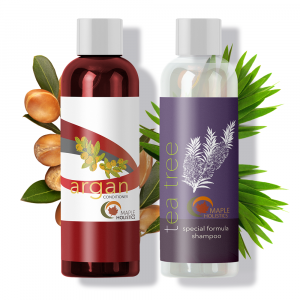 From argan oil shampoo to tea tree shampoo, I’ve tried them all. Some hair care products do nothing for me from the start. Others work well for a period of time before losing their effectiveness, while a small and select few have stood the test of time. Well, I’m glad to say that John Frieda full repair shampoo and conditioner have joined the ranks of my success stories. I’d just dyed my hair back to brunette after a stint of time as a blonde since I was feeling ready for a change. Don’t get me wrong, I loved going blonde and definitely think that blondes have more fun, but I was about to start a new job in a large firm and wanted to feel like my old, spunky self once again. My stylist helped me select a vibrant shade of honey-brown the was almost identical to the color I’d been born with. She sent me home with explicit instructions to first go and get a shampoo for color treated hair and more importantly stop being so trigger-happy with my hairdryer. Unfortunately, I must confess that I’m somewhat of an addict, and couldn’t leave my hair alone – the very next day after my shower, the blow dryer was already back in business. My hair’s natural dryness, coupled with the recent dye job plus my overuse of hot tools, meant that within a few weeks, my cute new ‘do was already starting to look ragged. Gone was my cute-yet-professional style, and I wanted it back! What’s a gal to do? John Frieda was born in England in 1951. He is a third generation hairdresser. He was a smart kid and his parents had actually hoped he would go into medicine, but he couldn’t resist his true calling. John Frieda’s father tried to talk him out of joining the family business but he could not be deterred. He later started an internship at the famous salon in London called “Leonard’s.” John quickly rose in the job and became Leonard’s right-hand-man. Ended up at editorial shoots for major British fashion magazines. He even styled Jackie Kennedy and Diana Ross at the time. The first Jon Frieda salon opened in 1979 in London. There he had pretty impressive clientele like Princess Diana and Paul McCartney. He wanted a way to expand but didn’t want to open new stores. Deciding to sell products was the way to go. Therefore, he met with a chemist to come up with a product that was similar to the products he used while on set. He first had success with a thickening lotion. A drug store chain then invited him to do a product line for their shelves, and that’s when things really took off. The first big seller was Frizz-Ease Serum and from there on he was unstoppable. 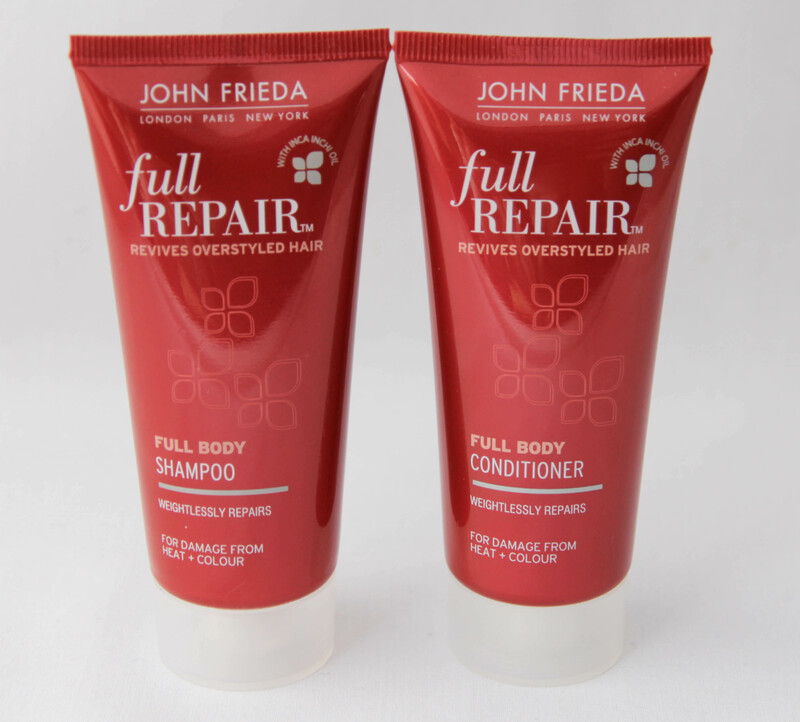 There are three products in the John Frieda Full Repair line. The Hydrate + Deep Rescue conditioner, Strength + Restore conditioner, and Strengthen + Restore shampoo are all of them. 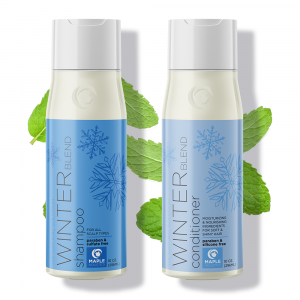 The conditioners have plenty of the same ingredients but there are three that stand out. Those three are Cetearyl alcohol, dimethicone, and cetyl esters. Cetearyl alcohol is a mixture of fatty alcohols. Not all alcohols are bad. Fatty alcohols, like this one, are able to provide lubrication and hydration because they have a high carbon content. This alcohol encourages softness and helps smooth down damaged hair cuticles. Both dimethicone and cetyl esters work well on damaged hair since they make the hair look and feel smooth. 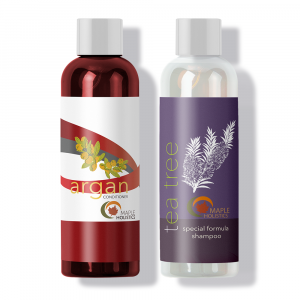 The shampoo contains coco glucoside, which is a gentle cleansing agent. It’s beneficial for those with sensitive skin or a sensitive scalp. The shampoo also contains Cocamidopropyl betaine which is made from organic compounds derived from coconut oil. This line was designed for anyone with brittle, dry, and/or damaged hair. You should first wash your hair with the shampoo and apply one of the conditioners and let it sit in your hair for two to five minutes for intense repair. If your hair is feeling extremely dry, you can apply the conditioner and wrap a hot towel around your hair for 20 minutes- a salon experience at home. I’d been a big fan of John Frieda’s Sheer Blonde line back in my lighter hair days. I loved how it kept my hair hydrated while maintaining my color in a gentle yet effective way. Since my brunette hair was obviously not prone to the same brassy tones I’d struggled with as a blonde, I knew that the John Frieda blonde shampoo, in particular, wouldn’t be so effective for me. I still found myself perusing through the aisle with other John Frieda products the next time I was in my local drugstore. The John Frieda full repair strength and restore conditioner was the first to catch my eye. I remembered seeing it in a favorite magazine once and it had received only the highest of praise. I scooped up a bottle, despite it being a bit pricier than some of the other brands. For all the time and effort and money I pour into my hair, a few extra dollars is worth it in the big scheme of things. Since I was purchasing the conditioner, I decided to buy the shampoo as well. These two products are meant to moisturize as they strengthen. They are safe for hair treated with chemicals or dyes making them some of the best shampoo and conditioner for color treated hair on the market. Be warned that the duo does have somewhat of a strong scent, which I personally found to fade within a few hours after washing. 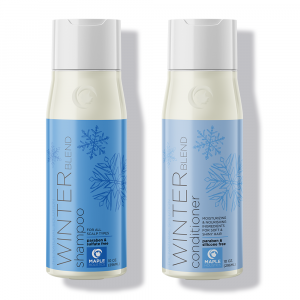 The conditioner really coats every strand for the ultimate silky-smooth hair. The special formula contains Inca Inchi Oil, a modern day hair miracle. I’ve heard of using essential oils for hair but what exactly is Inca Inchi Oil? Well, I’ll tell you. 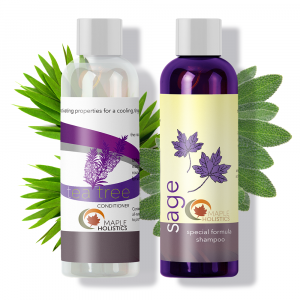 I myself had never heard of it before investing in this shampoo and conditioner set. As it turns out, Inca Inchi is a plant native to the Peruvian Amazon region, and it contains a perfect balance of omegas 3, 6, and 9 while being the single richest vegetable source of essential fatty acids. The human body doesn’t produce these fatty acids on its own, so you can only obtain their benefits through external sources. The Inca Inchi fruit and seeds are pressed in order to extract the oil. This oil is naturally high in antioxidants such as vitamin A and all eight factors of vitamin E. The oil protects hair as well as skin and nails while building up natural defenses to irritation, dryness, inflammation, and damage. As I said, you can’t go wrong with this stuff! Inca Inchi oil is not only beneficial to your hair, but it could also be beneficial to your health. If eating, it can help with weight loss and your general well being. The seeds release serotonin, making you feel good. In addition to their awesome Full Repair conditioner and shampoo, and the Sheer Blonde line which I’ve already mentioned, John Frieda produces two more lines which I believe are worthy of mention: Frizz Ease, and Luxurious Volume. The Frizz-Ease serum is a wildly popular product used to transform frizzy manes into sleek and silky hair (think The Princess Diaries, pre- and post-Mia’s transformation), and the corresponding shampoos and conditioners are highly touted as well. If instead of frizz you find yourself dealing with flat, lifeless hair, using Luxurious Volume shampoo, conditioner, and in-shower treatment can give your hair a boost of life. Whichever John Frieda product you select, know that you are getting high-quality, salon-worthy formulas for a price which is well worth the results. After seeing how this set of shampoo and conditioner transformed my tresses, I’m proud to say that I am recovering from my hair dryer obsession. I’ve finally been able to let my hair air-dry into the soft, smooth waves that it was meant to be. If John Frieda full repair products could work such wonders for my hair, imagine what it can do for yours!